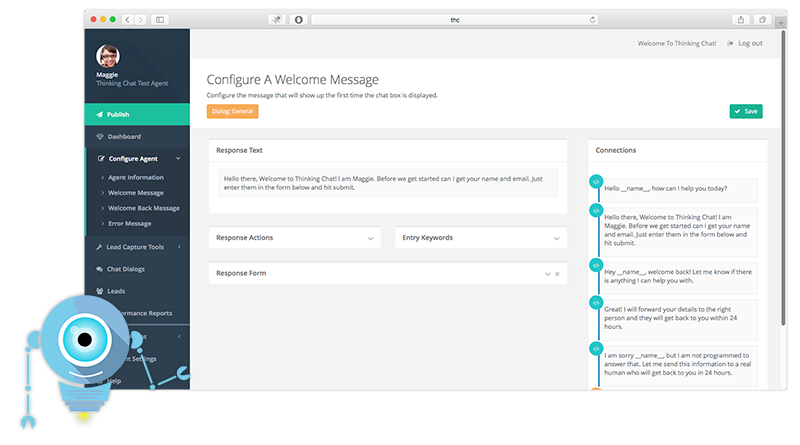 Thinking Chat Technology brings chat automation to the masses. Developed specifically for the needs of small to medium size businesses, our technology helps you grow your business while freeing up your valuable time. Imagine that instead of hiring expensive full time staff, offshoring to non-native speakers, or trying to add more hours to your already full schedule you ‘hire’ an automated agent to man your website 24x7 - answering customer queries, collecting valuable information, and capturing qualified leads. Thinking Chat Technology lets CEOs and marketers multiply existing marketing and manpower so that you can do more with your business and for your business. The best part is that our solutions are designed to be easy to use, highly effective, and affordable. With Thinking Chat Technology working for you the creation of a customized virtual agent that matches your needs is as simple as typing conversation dialogs and dragging and dropping them into place. Your agent goes right to work capturing more leads even while you sleep. Plus, it’s intelligent lead capture so it’s more effective than other solutions out there. Our Smart Capture Tools are just a smarter way to capture leads. We make your site smarter, your revenue higher, and your life easier. Thinking Chat Technology brings your website to life. Your site is now able to interact with visitors and provide them with the information they are looking for, while collecting crucial information for you. Not all people that visit your site contact you. 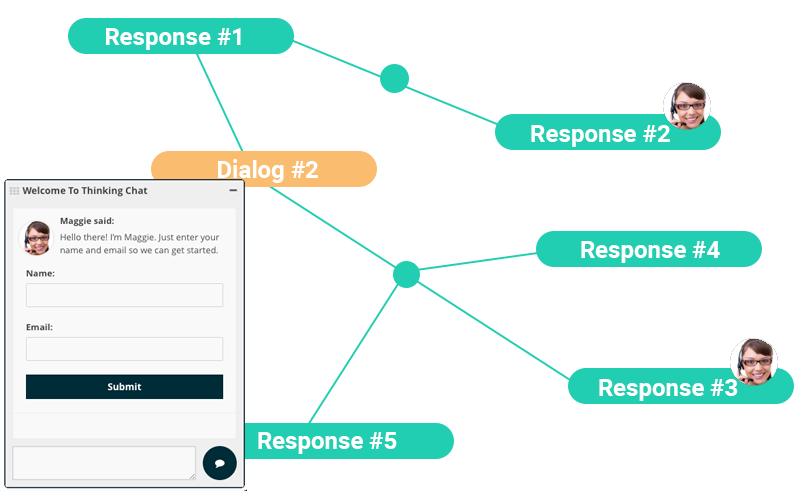 Using Thinking Chat's Automated Chat, we can engage the visitor in conversation while capturing their contact details as well as information about what they are looking for. While your staff has gone home and your competition is sleeping one of our agents can be hard at work engaging your site visitors and capturing their key information. With the visitor information at hand you or your staff can follow-up using email, phone, or whichever method you prefer. The details captured by your Thinking Chat Agent will allow you to better assist your prospective customers. Thinking Chat Technology enhances visitor interaction with the automated agent and enhances your interactions with visitors too.